In extreme scarifying applications, VBL™ CARBIT™ blades and tips are the clear choice. VALLITE™ heat-treated (thru-hardened) blades with replaceable carbide tips offer the best performance for scarifying roads. 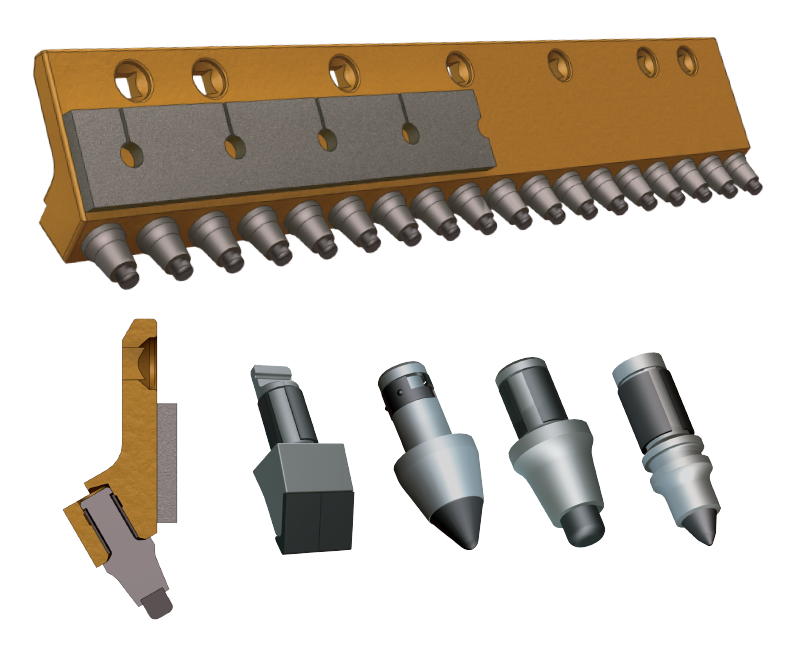 A variety of rotating and fixed (non-rotating) tips are available to tailor this product to any application. The CARBIT™ system is available in different sizes to suit all sizes of OEM machines. To prevent premature base material wear “washout”, VBL applied-tungsten-carbide-matrix (TCM™), hard-facing or strips of hardened plate (VALSTRIP™) are available as options.